Some of our students will be participating in this year's Music Evaluation Day held at Bluffton University! It is for any of our ambitious piano students who might be interested! The date for the event is Saturday, April 7. It requires 3 memorized pieces, sight-reading, ear training, technique, and written theory. The event is really beneficial in ensuring you have a well-rounded set of skills! If students pass all of the events, they receive a plaque at the end of the event! The event is run by teachers of the Middle West OMTA. (Ohio Music Teachers Association). ​Below is some of our students from last year! 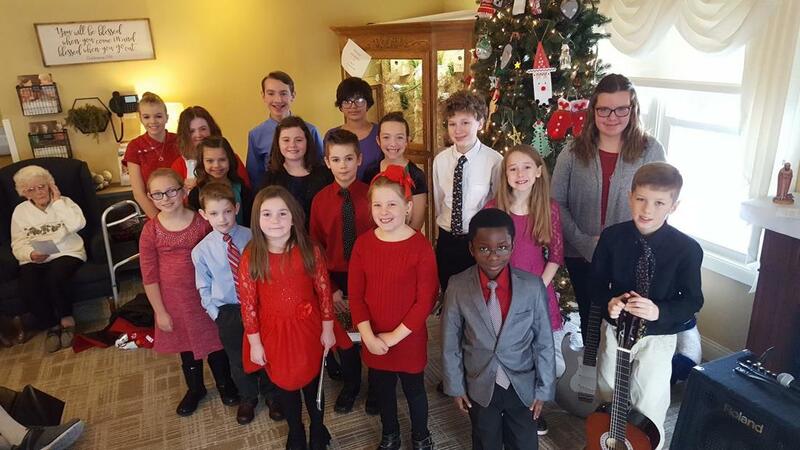 To make things in our community a little bit more festive, our music students prepare a piece to share at one of our recitals! 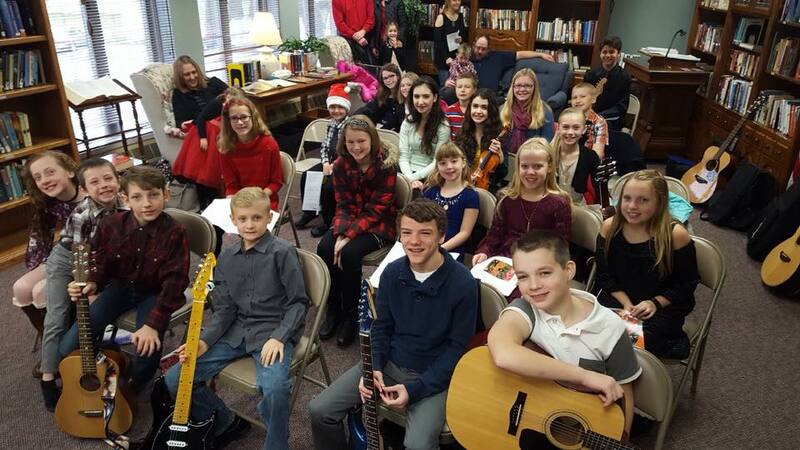 Most of the Christmas recitals are held at local nursing homes. The residents just love when the kids come to play their music! Here are a few pictures from recitals this year!